Sick today. This is one from my archives, taken on a photo trip last summer. 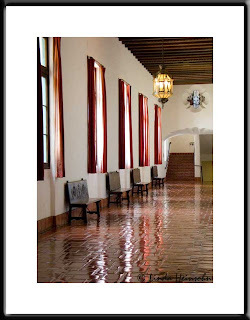 Santa Barbara Courthouse is a wonderful place to take your camera for a shoot! So many gorgeous details, windows, tiles, nooks, reflections.